HealthAlliance of the Hudson Valley is here to help YOU. We understand the difficulties surrounding healthcare costs, that’s why we offer financial assistance to our patients. For more information, please contact the Patient Accounting Department at 845.334.2743. HealthAlliance offers Financial Assistance to patients residing in New York State, for medically necessary treatment and diagnostic services, who cannot afford to pay for care. Individuals making less than 300% of the Federal Poverty Level may be eligible for free or reduced cost services. Patients interested in applying must fill out an application and supply key pieces of information, which will help HealthAlliance to see if the patient will qualify for Financial Assistance. The information requested will be used to determine income, family size, and residency in New York State. HealthAlliance does not use assets to determine eligibility under this program. The HealthAlliance financial assistance policy and application is readily available and free to the public. The application and policy can be obtained in the hospital registration department, by visiting our business office at HealthAlliance, 741 Grant Avenue, Lake Katrine, NY 12449, by calling our customer service department at 845-334-2743, or on the HealthAlliance website. A representative from HealthAlliance can assist you with completing the application should you request it. Please call 845.334.2700 ext. 5537 or visit us at 741 Grant Avenue, Lake Katrine, NY 12449, for assistance. For HealthAlliance Hospitals: Mary’s Avenue Campus, Broadway Campus and Margaretville Hospital, the maximum amount a patient who qualifies for financial assistance will pay will be the rate paid by Medicare to the hospital for similar emergency or medically necessary services, plus the New York State Surcharge if applicable. HealthAlliance’s Financial Assistance Application, Policy and this Summary are available in English and Spanish. The HealthAlliance of the Hudson Valley hospitals offer an extensive counseling program for those unable to meet their financial obligations. 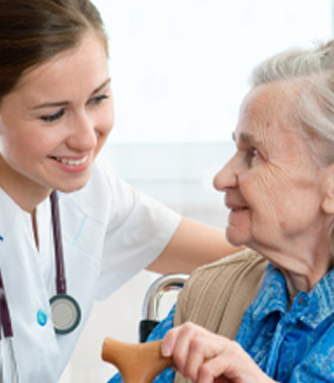 We will assist patients with applications for Medicaid, Child Health Plus and Charity Care. For those not eligible for coverage, we can establish payment plans that will allow you to pay your bill over a period of time. The Patient Accounting Department will be happy to schedule a personal and confidential counseling session. The HealthAlliance of the Hudson Valley hospitals also offer a Financial Assistance Program (Charity Care), which assists individuals who are unable to pay their hospital bill. Applications for this program are available at registration, through the Patient Accounting Department and provided below. We encourage everyone having difficulty paying their hospital bills to inquire about our program. Below are forms and additional information about our financial assistance services.